We are living in times where everything is at the tip of our finger. Mobility is the key to ensure that software are able to provide the best experience to our users. Even though EasyBlog 5 is still in Beta 2, we are already testing concepts and integrating the new user interface for social management and content auto-posting. 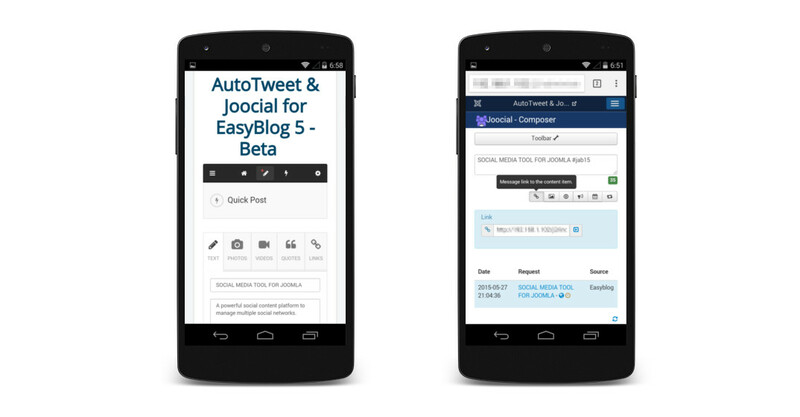 In these screenshots, we show how a Quick Post from EasyBlog can be edited in AutoTweet Joocial Composer before publshing to social networks.